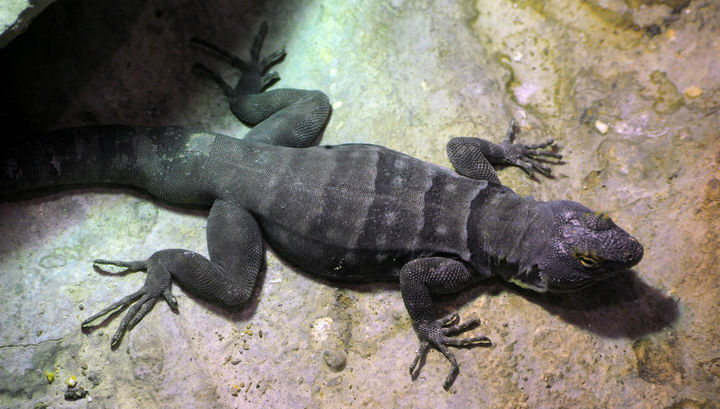 Scientists have confirmed the existence of a phase of fast sleep in lizards, which in humans is associated with dreams. 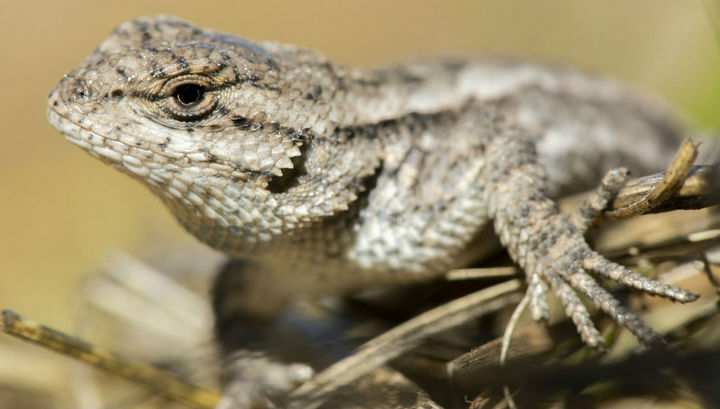 But suddenly it turned out that the different species of these reptiles in this respect are more different from each other than from mammals and birds. Such conclusions are set forth in a scientific article published in the PLOS Biology journal by a group led by Pierre-Herve Luppi from the Neuroscience Research Center in Lyon, France. Sleep is a very ancient evolutionary invention. Not only bees, crayfish and cuttlefish sleep, but even filaria worms. This means that the ability to sleep appeared in animals even before the separation of the evolutionary lines of man and filaria, which occurred about 700 million (!) Years ago. However, dividing sleep into a slow and fast phase is a completely different matter. Briefly recall what is at stake. In the rapid phase of sleep, a person sees bright and long-lasting dreams. Scientists once believed that dreams are generally characteristic only of this state, but in recent years it has been discovered that the “inner cinema” can sometimes be seen in the slow phase of sleep. In addition, a special picture on the electroencephalogram (EEG), rapid eye movements and paralysis of almost the whole body are characteristic of fast sleep. For the latter feature is a special “switch” in the brain stem. People with whom it is damaged as a result of the disease, during sleep, make movements that they dream of: they can run, jump, hit, which sometimes leads to sad consequences. For the majority of mammals and birds studied, the picture is generally the same, up to involuntary movements during the destruction of the paralyzing center (but there are exceptions: for example, cetaceans do not have fast sleep at all). No other groups of animals had a division into fast and slow sleep, so some researchers attributed it to warm-bloodedness. This hypothesis looked especially intriguing, because in mammals and birds, internal thermoregulation arose independently. However, in 2016, scientists discovered a fast phase of sleep in a lizard of the species Pogona vitticeps. It turned out to be quite similar to a similar condition in mammals and birds. This allowed the researchers to assume that the ability to quickly sleep (and, apparently, to dreams) was inherited from the last common ancestor of reptiles and mammals, who lived on Earth 350 million years ago. Scientists are cautious and corrosive people and always make the possibility of a mistake. Usually the discovery becomes generally recognized only after it is independently reproduced by at least two different groups of researchers. The team of Luppi undertook to verify the conclusions of colleagues, having set up an experiment with P. vitticeps again. Neurobiologists have fully confirmed the results of the precursors regarding EEG and reptile eye movements. However, they conducted experiments on another lizard of the species Salvator merianae. Scientists approached the matter thoroughly. They recorded not only the EEG and eye movements, but also the electrical activity of the muscles, heart rate and other indicators of the organism of the creature. It turned out that S. merianae also exhibits a phase of REM sleep, judging by the movement of her eyes. In addition, this condition is successfully suppressed by pharmacological agents commonly used for this purpose. However, it was not without surprises. For birds, mammals and the previously studied P. vitticeps in the phase of REM sleep, the same EEG pattern is generally observed, similar to their own encephalogram during wakefulness. But the brain of S. merianae showed a completely different activity, the picture of wakefulness is completely different. Two important conclusions can be drawn from the study. Firstly, the existence of fast sleep and, apparently, dreams associated with it has been finally confirmed. Secondly, the differences in the picture of this phase of sleep are very bizarre: two types of lizards may differ more in this parameter than the lizard and man. This raises new questions about the evolution of sleep, which are yet to be answered.